This custom deck and porch space was built using TimberTech Rustic Elm decking and brown oak decking to form the picture frame. The ceiling of the porch space is finished off with pre-stained auburn pine. This unique deck also features a curved section that ties the angled porch section in to the house perfectly. The Keystone team completed this project in October 2016. Thanks again for a job well done. You guys are the best. Customer service was top notch. We couldn’t be happier with the way the project went. 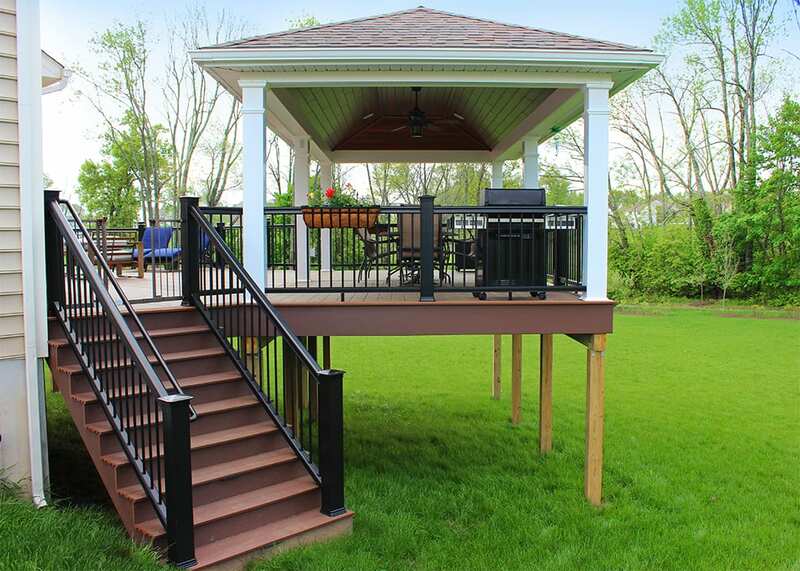 We will most certainly recommend the Keystone family team to anyone we know who’s considering a deck or porch.